I had a brief moment of panic last Friday afternoon at lunch with my daughter when I realized I’d forgotten to bring my own to-go containers and wasn’t going to finish my food. I was grateful that the restaurant I visited had compostable to-go containers (my best option at that point if I didn’t want to waste the food). I was also unprepared when my daughter asked that we stop by the co-op for something she needed. I had run out of chocolate a couple days earlier, and suddenly, could not bear going through the next few days without it. This may not seem like a big deal to some, but those of you who consider chocolate a distinct and essential food group, as I do, will understand the dilemma I faced. I didn’t have any reusable containers with me for purchasing bulk chocolate, but the gas I would use driving home to get them, then back to the co-op seemed more wasteful than using a couple small, thin paper bags that I think will compost fairly well in my home compost bin. First week’s learning opportunity: be prepared for unplanned needs (i.e. 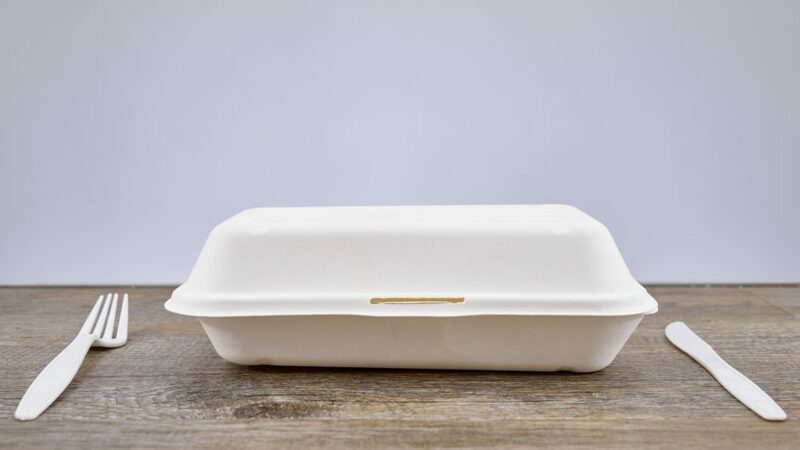 carry reusable containers and pay attention to food packaging). I have enough plastic to-go containers and lids washed and stored in my cupboard to potentially last the rest of my life. I also have enough small glass jars, plastic deli containers, and plastic bags washed and saved to contain several weeks-worth of bulk chocolate. If I store a few containers in my car, including reusable shopping and produce bags, and fold a couple small plastic and cloth bags into the bag I carry when I go out, I should be all set. I went into the Zero Waste Shopping Challenge without planning for it on purpose. I knew I was taking my daughter out to lunch for her birthday, and that this would fall during the timeframe of this challenge. If I had sat down and planned it all out, I would have had reusable containers today and could have smugly reported that I had a 100% successful first week. But that’s not what this is about. My household of two people, two cats, and a yard full of birds and squirrels that we feed regularly, has been generating approximately one small kitchen garbage bag of trash a month for several years, while generating less and less recycling. We already do a lot of planning to reduce waste. So, when I embarked on this zero-waste challenge, it was more about learning where my blind spots are through experience and finding sustainable ways to get closer to zero waste, and less about being 100% successful. I lucked out that there were compostable packaging options available at last Friday’s lunch. Though in essence, that means it was a successful zero-waste first week! However, luck isn’t always dependable, so I plan to be more prepared going into week two of the challenge.